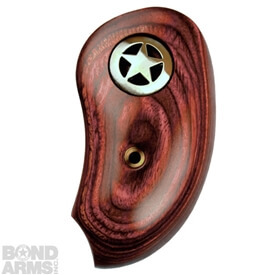 Low key, functional, and always made to the highest standard, this Standard Rosewood Star Grip is your standard in Bond Arms subtle style and pure functionality. 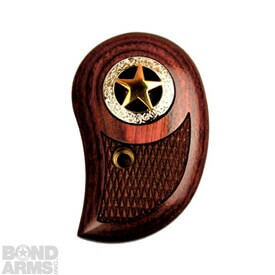 Made from fine Rosewood, this Bond Arms Grip has a exquisitely carved star on both the left and right sides of the grip with full checkering to give you a comfortable and secure grip. 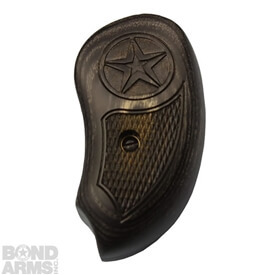 Like all Bond Arms replacement grips, this grip will fit all Bond Arms Derringer models. 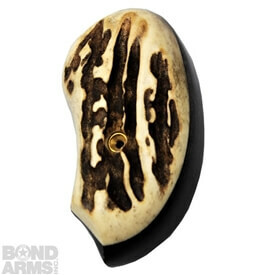 You can be sure this grip has the same high quality you expect from Bond Arms and the Bond Derringers making this a great grip that you should definitely check out. You can be sure this grip has the same high quality you expect from Bond Arms and the Bond Derringers making this a great grip that you should definitely check out.